Tacos are must on every family dinner menu. 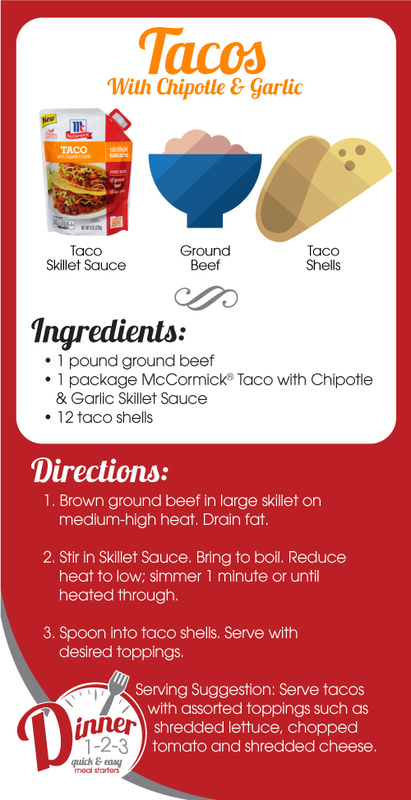 Try this quick & easy option with McCormick Skillet Sauce. All you need is three ingredients! 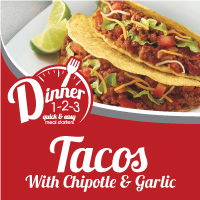 Spice dinner up this week with a delicious recipe for Chipotle Chili. In a large pot, cook ground beef until browned, drain fat. Add tomatoes and beans and season to taste with chili powder. 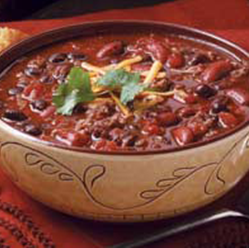 We hope you enjoy this recipe for Chipotle Chili. Great food changes everything!